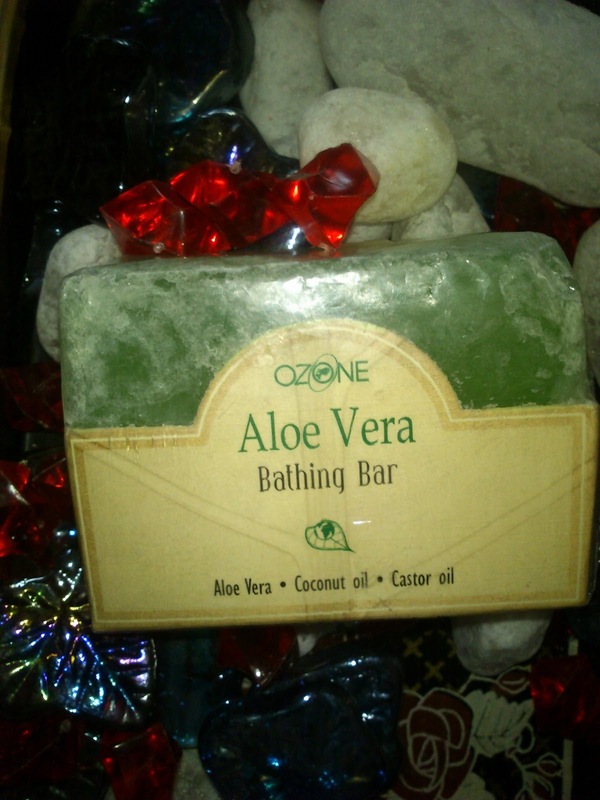 Today I am going to review Ozone Aloe Vera bathing bar. I got this soap from my Dad. I am not much familiar to these Ozone Ayurvedic products. I just got excited by seeing the name Aloe Vera. It is also with the goodness of Coconut oil and Castor oil. Both of these are well known moisturizers for our skin. I got full of hope that this will be my favourite winter soap. Because, I had bad experience with the soaps which claims moisture our skin well. In winter my especially my hands and legs will dried up after shower and leaves white peels which is so annoying me. 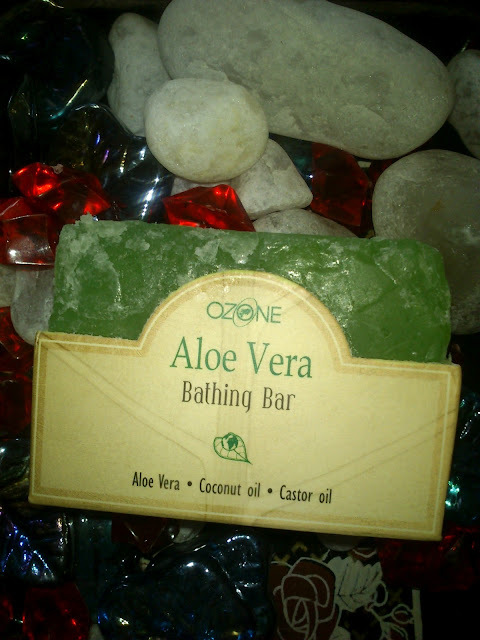 Ozone Aloe Vera bathing bar combines goodness of Aloevera, with glycerin and natural oils, making it gentle for skin. Regular use moisturizes the skin. Making it soft and supple and refreshed. This soap comes in a transparent package and weightless. I never saw a light weight soap before, because this soap is like air in weight. I was really waiting to finish my old soap to open up this one. I finally opened this soap. This soap is so light in weight and in green colour reminds me Aloevera, also It is a transparent soap. It lathers medium and cleanse the skin well. This left my skin normal and I am not feeling to apply moisture cream after my bath. I felt a little softness too. This soap has a very mild smell. I am in love with this soap totally now. This is not melting soon like other soap bars. 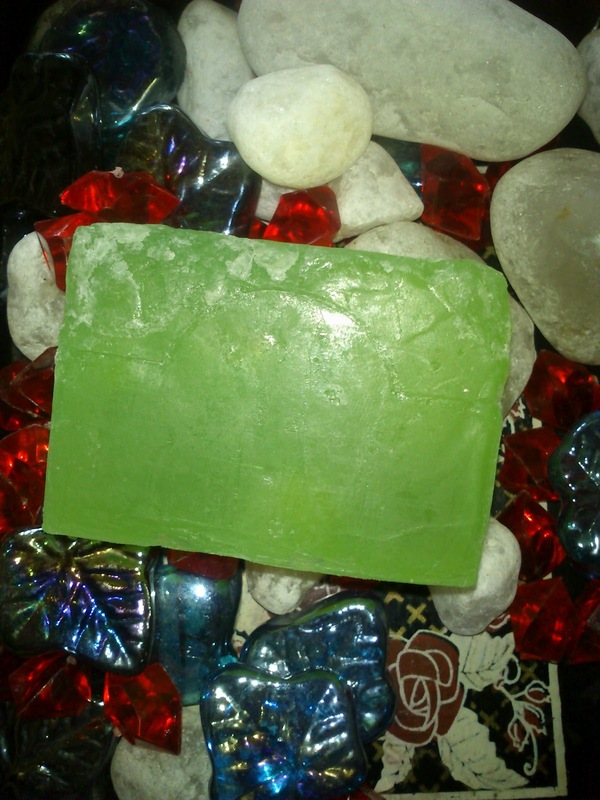 The natural ingredients in this soap make me feel great and so fresh after taking bath. This soap never dried up my soap and makes my skin so soft and smooth. I am in love with this soap very much. I always see that this soap has some oil bubbles in its upper part which indicates it is really a natural handmade soap made by essential oils. This has mostly natural ingredients. 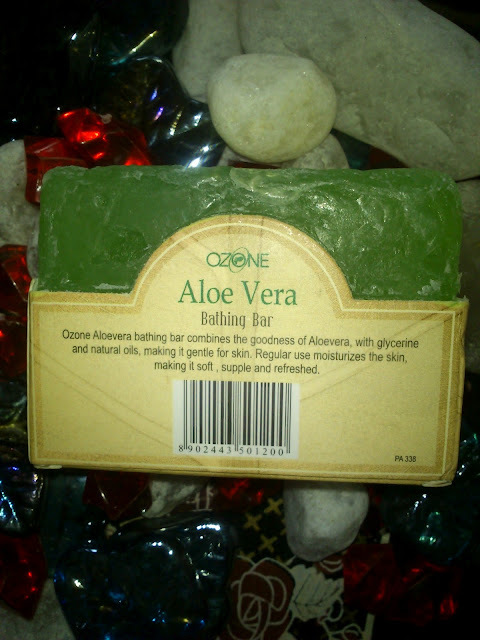 Contains Aloevera, Coconut oil and Caster oil gives smoothness to my skin. Smells very mild and also lathers medium. I don’t need to apply moisture cream after using this soap. Cute packing and refreshing green colour. Really does what it says. Not easily available, you can find it rarely in some super markets. There is no complete ingredient list. If I find this soap in any shop I will surely buy a lot of soap for sure, I love this soap bar and it is the best soap which I found in my life. check out my blog if you can..
That was a useful info radha....instead of going for variety of cream this 1 bar would b sufficient as it holds natural aloe vera's moisture as it is too good for skin. Hopefully i shall also try this one once we r back to India. i had used this product and i love it....but it is not easily available in nearby shops...sooo from where i could get it more?? ?